In the early part of summer, Aoi Matsuoka (Kasumi Arimura) is in the third year at a university. She doesn't like making trouble and enjoys the ocean with marine life. Aoi Matsuoka hoped to attend a different university, but because of her parents' opposition she gave up on the other school. One day, she begins work with students from the University of Marine Science and Technology at an aquarium near the sea. Bore Aug 23 2017 9:56 am Boring. As in, the lameness is such that I fell asleep. Seriously, I haven't felt anything at all. Juni Feb 27 2017 9:20 am I agree that Masahiro and yamazaki look like brothers. Reya Aug 23 2016 1:25 am Originally watched this for Masakun, but in my opinion it was only okay, nothing special. I didn't find it particularly poignant which I think they were going for, which is probably the reason for the emotional disconnect I felt. But that's just me. I guess if you like the simple 'friendship, finding yourself' type of melodramas, then you'll probably enjoy this one. 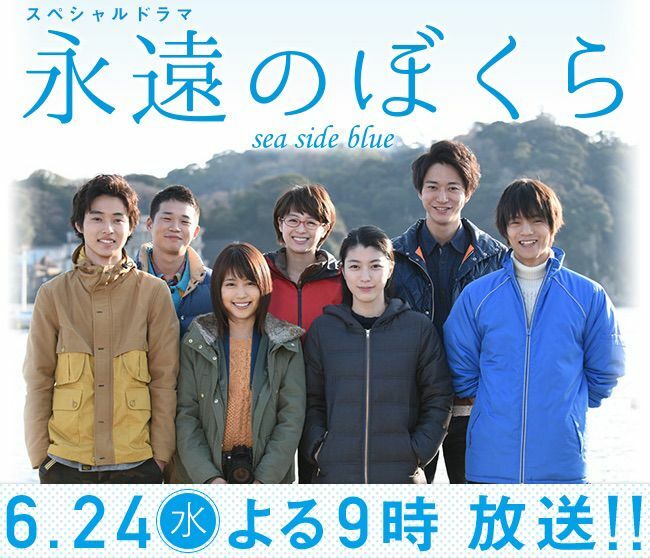 Miyako Jun 07 2015 4:26 am Already saw the trailer and I can't wait for this SP to be posted oin streaming sites! It's sort of a reunion of Yowakutemo Katemasu since Kento and Kasumi are both of the protagonists, and Masa-kun's not aging! Can't believe he is on his 30s now and he's at the peak!